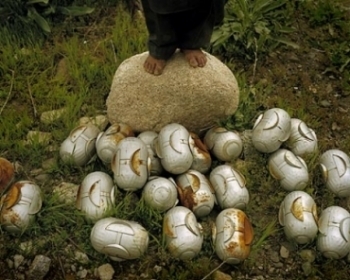 Avaaz - BAN CLUSTER BOMBS NOW! Cluster munitions kill children and other civilians long after wars are over--and this week, we have a chance to ban them. 109 countries are in the final stages of negotiation on a cluster bomb ban -- but some are trying to water down the treaty with loopholes, exceptions, and delays. Our information is that the delegations obstructing a strong treaty in the last few days include the UK, France, Germany, Spain, South Africa, Canada, Czech Republic, the Netherlands, Finland, Denmark, Japan, Poland, Slovakia, Sweden and Switzerland, so messages to these leaders will be particularly valuable. Who makes cluster bombs? Who is affected? Click here to see a world map! Also, click here to see a video message from a cluster bomb victim.